Boston Ma – Racing in New England began with horses. With the advent of motorized vehicles, the early pioneers constantly looked for ways to make them go faster. This racing exhibition will feature over 100 years of racing heritage from the corners of our home tracks to corners around the world. From the bike board tracks in Springfield and the early days of Readville, Cranston, Epping, Oxford, Thompson and Lime Rock, New England’s race heritage is one of the longest and strongest of anywhere in the country. Beginning with a 1907 Vanderbilt Cup Renault all the way up to a late modified dirt track racer, the many styles and types of racing will compete for spectators’ attention at the 2014 edition of the Boston Cup. 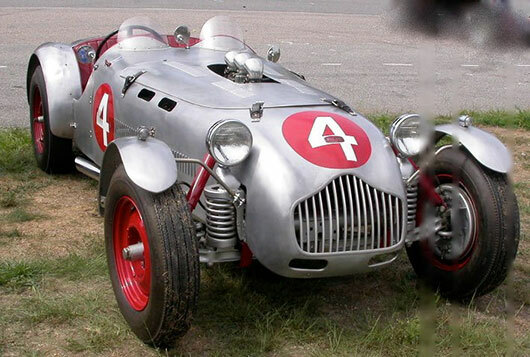 A 1936 stock car, a post war dirt track midget, a prototype Allard J2 first run at Thompson, Carroll Shelby’s Toyota 2000GT, Mario Andretti’s Lotus 79, both a 356 and a 911 Gt3 Porsche, Ferraris, including a rare 1962 GTO on display in the KTR Racing tent, a Corvette B production, a 65 California double engine rail dragster and many more including even a VW race support micro bus.